But then what? Perhaps after such an announcement everyone was expecting more angels, more announcements, and more fanfare. But there was nothing. Mary and Joseph and the newborn Savior were not escorted to the palace or even the temple. The baby was given no special honor. In fact, when Herod heard about a newborn king, he sent soldiers out to kill all the baby boys in Bethlehem under two years old. That probably made everyone a little less amazed and a little more skeptical of the shepherds’ message. Was the baby even still alive? Joseph and Mary escaped to Egypt before Herod’s massacre, so they were safe. But did anyone in Bethlehem know that? Did the shepherds even know it? Probably not. Matthew 2:14 tells us the Holy Family left during the night after Joseph was warned in a dream of Herod’s intent. So nothing out of the ordinary happened after that extraordinary night; nothing for the next 30 years that would publicly confirm the angel’s message on that first Christmas night. There was no further indication that the young couple in the stable that night was anything more than just another poor family going through a bad time. Perhaps the shepherds themselves began to wonder. After all, they saw angels on just one night, and then nothing else for all those years. Then, of course, they would have seen something. Then, with Jesus being famous all over the nation, the shepherds would have been celebrities with their inside story of that awesome night three decades earlier. This would have been especially true when Jesus entered Jerusalem as a king on Palm Sunday, and rose from the dead one week later. 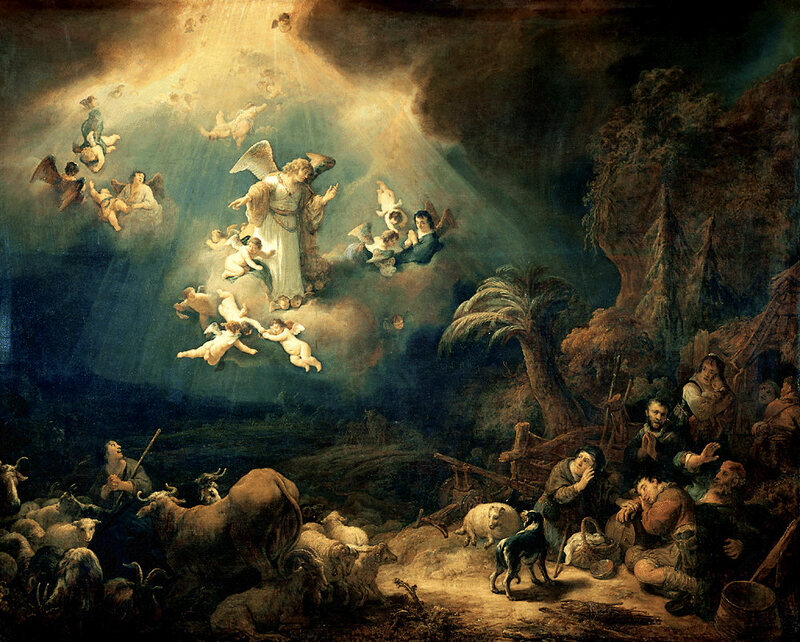 Bethlehem was just a few miles down the road from Jerusalem, so then finally, the shepherds would have been vindicated. But until then, there was nothing of the sort. Thirty years must have seemed like a longtime of silence. What great excitement on the night of Jesus’ birth, and then such disappointing silence for so long. For me, this makes Christmas story all the more real. This is a silence we all have experienced. Have you ever wondered where God is, what he is doing, why he is taking so long to answer your prayers, or why he doesn’t show up when you need him? Does it ever seem to you like God is silent? And isn’t it true that this silence of God is, for some, felt most of all at Christmas-time. For those who are lonely, those who are depressed, those who have recently lost a loved one in death, and those who are troubled in any way– for all of them, Christmas can be the very worst time of year. The loneliness is worse because this is the time everyone is getting together with loved ones. The despair is worse because this is the time when everyone is supposed to be jolly and singing ‘Joy to the World.’ The troubled spirit is even more troubled because this is supposed to be the time of peace for all. And the grief over lost loved ones is worse because the empty place at the table is all the more painfully felt when everyone else is there for Christmas. We can imagine how the shepherds must have felt, seeing God and feeling his presence so profoundly, and then not seeing anything for so long. God can seem so very close, like at a Christmas Eve candlelight service, with everyone singing “Silent Night” by the light of a hundred candles. But God can also seem so very far away and silent. God acts and reveals himself when and where he pleases. God may have seemed absent, but was not silent, in the Christmas story. He sent his angels to the shepherds, and the shepherds went to the stable, and there they told their story, giving Mary plenty to ponder in her heart (Luke 2:19). In the story of Jesus’ birth we see both the nearness of God and the silence of God. When it seems to you that God is silent and far away, remember how the shepherds heard that great announcement, and then faced 30 years of silence. And remember how Mary and Joseph heard such wonderful promises, and then had to endure such a difficult night. Perhaps when it seems God is most absent or most silent, He is, in fact, most active and present; as in the Christmas story. Psalm 6:3 — My soul is in deep anguish. How long, Lord, how long? Be near me Lord Jesus, I ask thee to stay, close by me forever, and love me I pray.